On the eve of celebrating the armistice day and the 100th anniversary of world war I, let’s have a deep thought for all our soldiers. They could have been our sons, our brothers, our fathers. Generation gap has placed them to the rank of grand-fathers, then great grand-fathers or uncles. If sorrow fades away with time, bewilderment grasps us with the horror of such a war. Fear and pain that our soldiers had to endure have turned into a powerful and dull cry – so that we don’t forget. 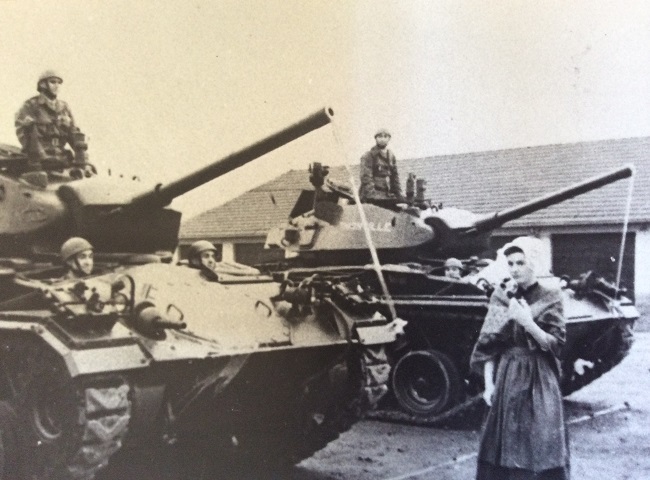 “Baptism” of Chaffee tanks in Lorraine – France – 1951 My father Lt Christian TASTET is standing in the 2nd tank.